Following her GMA appearance, Angela Bassett's stylist posted to her instagram page, the actress new look for The Late Late with James Corden show yesterday(July 24th). 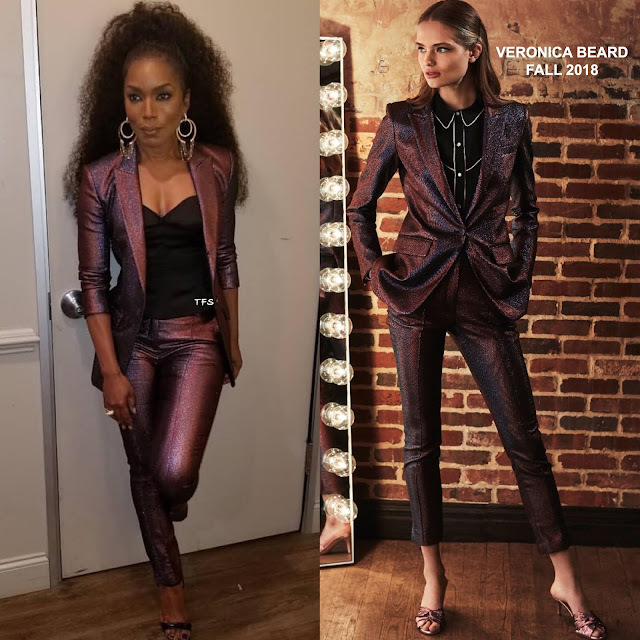 She posed for the gram rocking a shimmery purple VERONICA BEARD FALL 2018 two-piece suit with an IKONOSTAS black strapless bustier underneath. Love everything about Angela's look here from the fit to the color, even though it is dark. The actress look great. A curly half-up, half-down hairstyle, statement earrings and LE SILLA sandals finished up her look. Are you feeling Angela's instagram style?